Consoles have classically set a static point in the gaming world with non-upgradable hardware, but that might all change with the Xbox One. Microsoft's Xbox chief Phil Spencer hinted at possible "hardware innovations" for its home gaming console. While on stage, Spencer envisioned a future where the Xbox One could see numerous upgrades, bucking the long history of users having to upgrade to a 'Next Box' every couple of years. The head of Xbox also mentioned Microsoft's hope to combine its game development efforts for Windows 10 and Xbox One under one umbrella called the "Universal Windows Platform." The first of these efforts include a newly announced version of Forza 6 titled Apex, which will allow PC gamers to finally get behind of the wheel of the Xbox exclusive driving simulator for the first time later this spring – albeit with a stripped down free-to-play version. However, in order to achieve visual parity between the two platforms, Spencer explained consoles could and should be upgradable to keep up with PC, which may lead to doing away with the generational shifts of consoles. "Consoles lock the hardware and the software platforms together at the beginning of the generation," Spencer said. "Then you ride the generation out for seven or so years, while other ecosystems are getting better, faster, stronger. And then you wait for the next big step function." 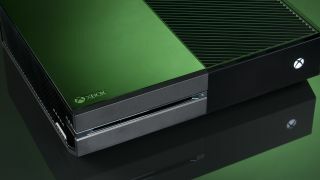 Moving forward, the Xbox chief said he believes users will see more hardware innovation in the console space than ever before. "You'll actually see us come out with new hardware capability during a generation allowing the same games to run backward and forward compatible," he continued. "Because we have a Universal Windows Application running on top of the Universal Windows Platform that allows us to focus more and more on hardware innovation without invalidating the games that run on that platform." If the future of Xbox turns out as Phil Spencer imagines, it will be an interesting and unprecedented move from Microsoft. Such a shift would effectively end the cycle of console launches in exchange for optional hardware upgrades. But it raises questions of how Microsoft will implement such a disruptive system. Will the next Xbox be modular to support these upgrades? How will Microsoft manage delivering different experiences across different hardware specs? We'll have to wait and see. Of course, one of the most immediate concerns for most users is whether the current Xbox One will support a modular, upgradable system. Unfortunately, Phil Spencer wasn't prepared to go into detail, but we're hoping to hear more about this upgradable Xbox future at E3 2016. Will Sony make the PS4 just as upgradable?